Every hostess at least once in her life had a situation when a dishcloth slipped from a holder and dropped down on the floor. 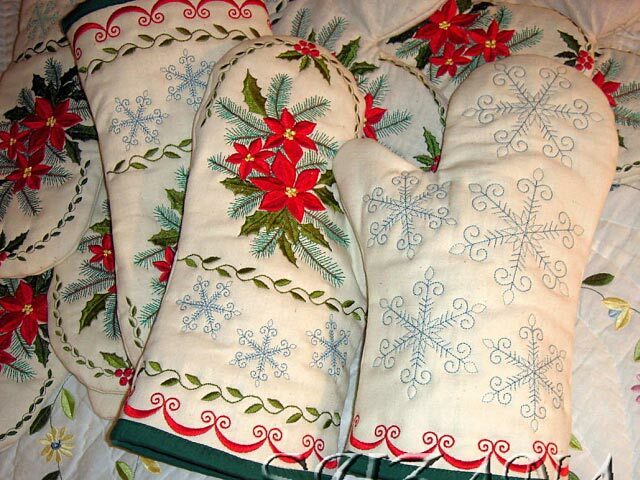 If you have an embroidery machine, this won't be a problem anymore. You can sew a towel topper, and what a towel topper! A real Russian beauty in Gzhel technique, which is both functional and very pretty. 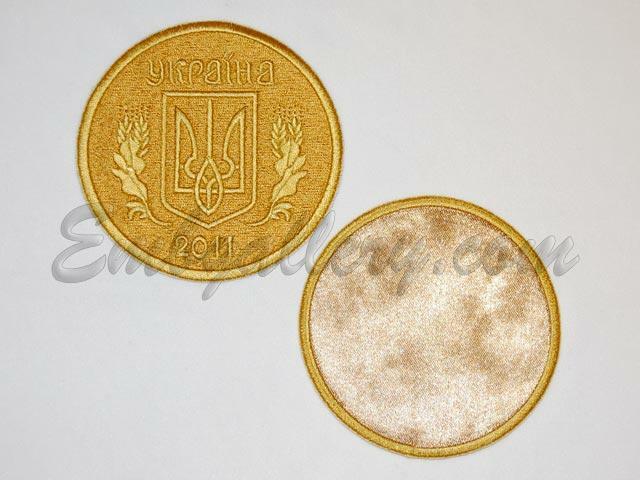 It will be an amazing present for a friend! In this small Master-Class we will tell and show you how to put 3D flowers from the set of Designs "Magic"_a Neck with 3D Flowers together. Very often embroiderers face a situation when they have to embroider a certain design as a bordure on the bottom of a dress for a beloved daughter. 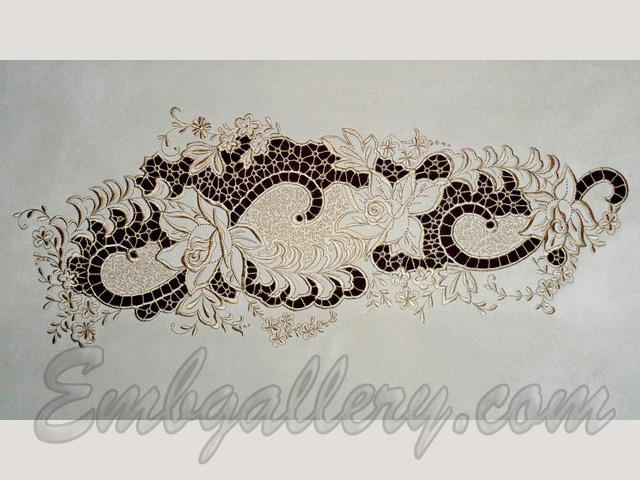 You can embroider it many times rehooping the fabric every time or multiply it in the embroidery machine's memory. But there is one more elegant way out is a feature of Embird program which will allow you to create a border out of any design you like by yourself. 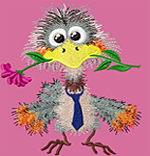 If you don't have a format supported by you embroidery machine in your collection of designs, you can ask the designer who created the design to translate (convert) it in a different format or you can do that by yourself, using Embird facilities - multi-functional program for editing and creating Machine Embroidery Designs. 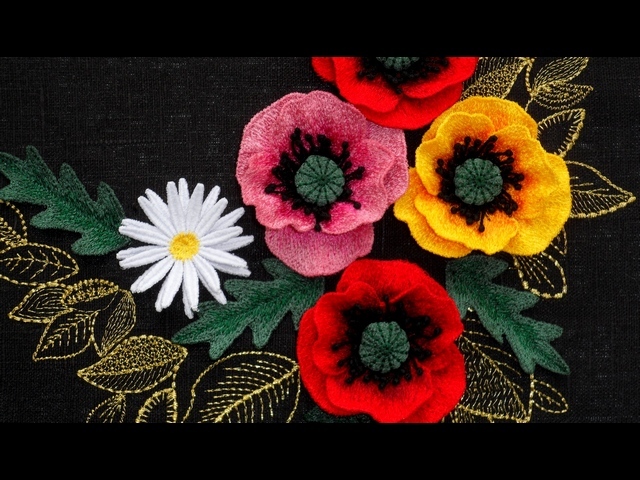 The opportunity of converting embroidery formats - is one of many its features. 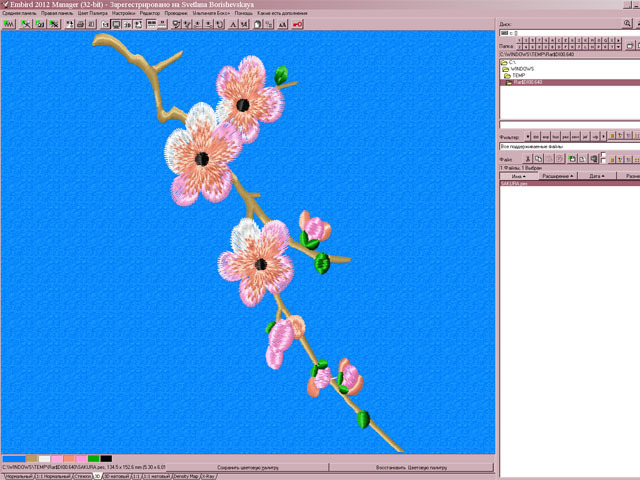 In this Master Class we'll tell you about how to embroider in Richelieu technique. 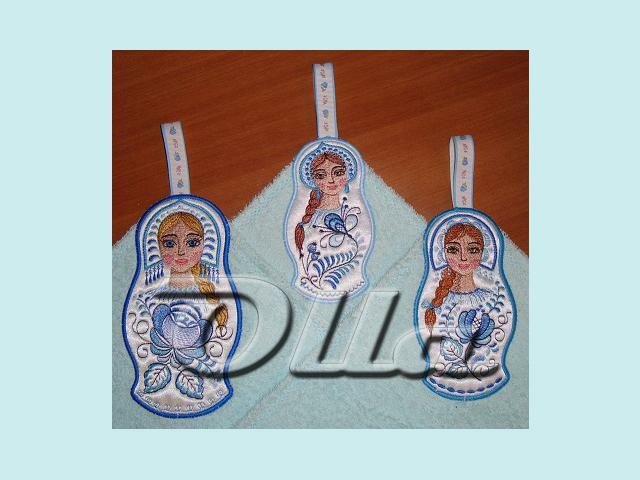 And we'll do that on the example of an amazing set of Designs "Charm". 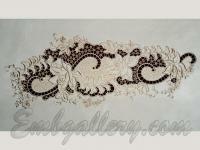 The embroidered motif will be perfect for the front of a blouse. "Cloth case bag stitch-out tutorial"
It’s absolutely not hard to embroider such a cloth case bag though at first sight it may seem pretty bothersome. We really hope this guide will make the process easier for you. 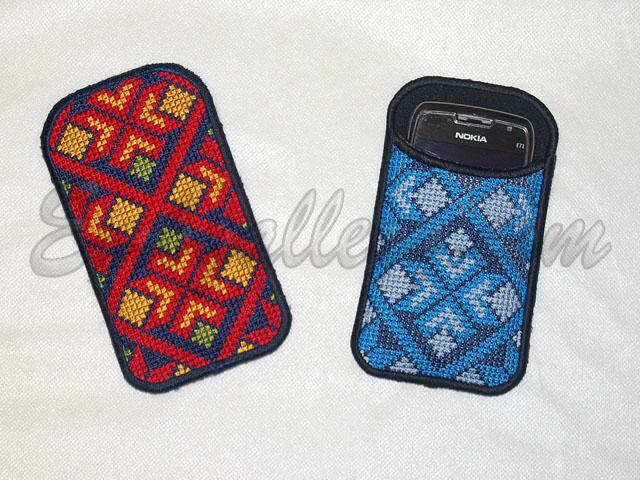 You can buy machine embroidery designs for your cloth case bag from our web-site here. 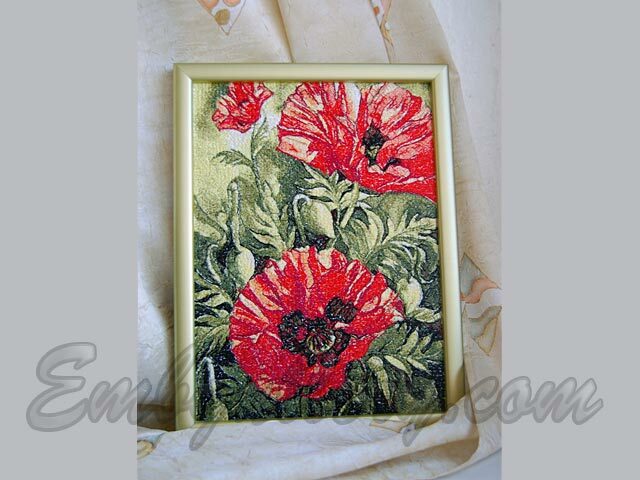 In the second part of the article devoted to the Photo Stitch, we will tell about all stages of an embroidery of design in this techniques on a picture example «Scarlet poppies». 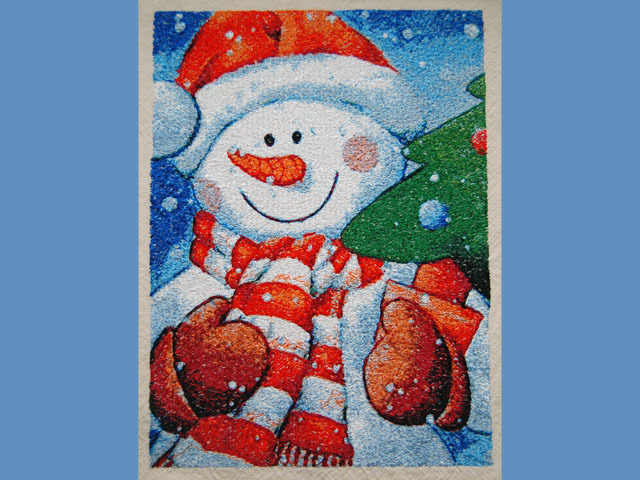 In this master class you will learn how to correctly embroider and sew this Kitchen Mitten. 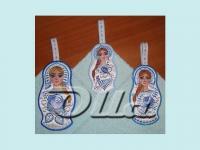 "Coat of arms of Portugal"
Bookmarks for the Gospel "Grapes"